HAPPY FRIDAY … SECOND GIVEAWAY! 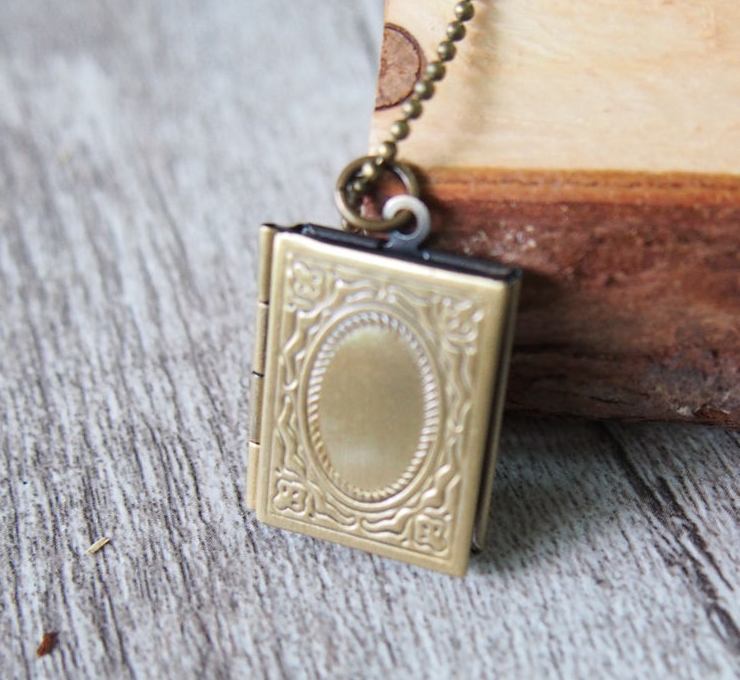 A lucky brass locket, shaped like a book. Wear it close to your heart and keep a tiny photo of your favorite novel inside. The contest runs through Friday, Sept 18, with a winner selected at random and announced at noon, EST. To enter, comment on any post on my website or Facebook author page between 11 a.m. EST Friday, Sept. 11, and 11 a.m. EST Friday, Sept. 18. This entry was posted in contest, giveaway, inspiration and tagged books, charm, Friday fun, giveaway, locket. Bookmark the permalink. The locket is very cute. Super sweet surprise in my mailbox today. Snail mail is always a delight; postcards from new friends in far away places are absolute treasures. Two weeks from tonight. Weird-hot. Maybe just weird.